NEW EP. OF DAVID CARRETTA AND WORKERPOOR OUT NOW ON SPACE FACTORY RECORDS !! Supported By Tiga, Laurent Garnier, The Hacker, Brodinski, Dave Clarke, Christopher Kah, Louisahhh!! !, Panteros 666, Maxime Dangles, Eddy Romero aka Sysknob, Arnaud Rebotini, Acid Washed, Mini, Jordan Dare, Yasmin Gate, Gina Turner, Erol Alkan…… -Written & Produced by David Carretta and Workerpoor -Release Date 5th of August 2013 -Sleeve design by L'INDUSTRIE Well-known figure of the trendy electronic scene since the mid 90s thanks to International DJ Gigolo, David Carretta has never stopped producing massively on his own record label Space Factory. Today teamed up with mysterious aly Workerpoor, the duet is in totally in tune with the powerful dark electro scene alongside partners like Arnaud Rebotini, The Hacker & Gesaffelstein. 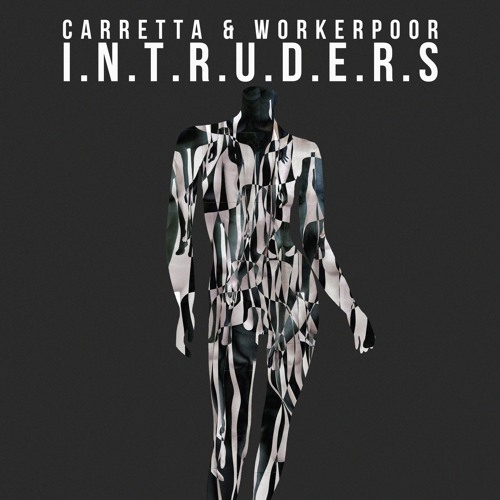 Carretta & Workerpoor first ep has been released on Zone record label and the track "Body Control" issued on their second ep. has been selected by Erol Alkan to feature on the I Love Techno 2013 compilation. They have also collaborated on their last ep. with Brodinski’s muse for record label Bromance Louisahhh !! !.